A 14-day joint military exercise named as Ekuverin of Indian army and the Maldives National Defence Force will begin on Friday at Belagavi a press communique issued by the Southern Command Headquarters, Pune said. The bilateral annual Exercise is a 14-day joint military training between the Indian Army and the Maldives National Defence Force, which is conducted alternatively in India and Maldives since 2009. The Exercise named “Ekuverin” means “friends” in the Maldivian language. 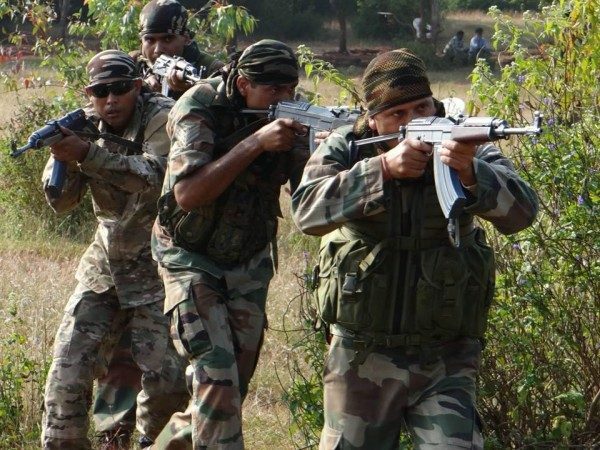 The focus of the exercise is to acquaint both the armies with each other’s operating procedures against the backdrop of counter-insurgency /counter-terrorist operations in an urban/semi-urban environment under the United Nations charter with an overall aim to enhance the interoperability between the two armies. The two week long Exercise will see the contingents hone their tactical and technical skills. The Exercise will also give an opportunity to the two armies to activate the Joint Operations Centre at Belgaum. The Maldivian National Defence Force will be represented by a team comprising of two officers and 43 Other Ranks, while the Indian Army will be represented by three officers, three Junior Commissioned Officers and 39 Other Ranks belonging to a Gorkha Rifles Battalion (SIRMOOR RIFLES). Exercise Ekuverin helps in further strengthening of the ties between the two nations. Opening ceremony scheduled on 15 December 17 will witness a fly past by the Army Aviation team along with a march past by the contingent from both the countries in the presence of the pipe and drums band of the Gorkha Regiment. A Gatka Dance and Martial Art program is being organized as part of the cultural event during the ceremony. The senior most Indian Army officer addressed both the contingents and assured that the exercise will go a long way in enhancing interoperability between the armed forces of two countries. Similar joint exercises have been held earlier as well in Belagavi.